Welcome to Wood You, the home of affordable, unfinished furniture with unlimited custom colors and designs with today's styles. 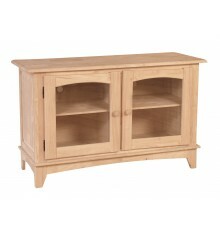 Every piece of real wood furniture we offer reflects our commitment to great quality, selection and price. For more than 35+ years, we have worked hard to provide our Jacksonville and Northeast FL customers with quality products at great values and the know how to achieve great finishing results. At Wood You Furniture of Jacksonville, we strive to provide our guests with quality wood furniture that can be finished beautifully in your personal preference of wood stains and endless color choices, enhancing your home with your own unique style. Our great secret is offering well manufactured, real wood furniture with custom colors, elite and knowledgeable customer service and all at a great value. I was born with the entrepreneurship bug from my father from the time I could walk. In the early to mid 1970's he owned a refinishing business and that all but locked me into the love for real wood and quality. He also taught me the lost art of hard work and a never say quit mentality. In early 1990's I went to work at a Wood You Furniture store in Jacksonville, FL while I was still finishing up college at UNF . . . I never left this industry, or the company from that day on. I eventually worked my way up to Operations Manager for Wood You Distributor's managing all the corporate retail stores and our distribution center. My wife, Dawn, and I opened our first store in 1998 in Bradenton, FL with a huge success and have been working our way home ever since. 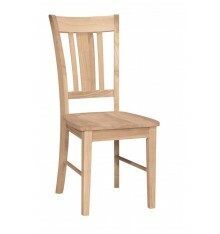 In late 2011 my bride and I bought the rights to the trademarked Wood You Furniture brand. With 20+ years experience in this industry and Wood You Distributors specifically it was an opportunity we had to take a shot at. All the opportunities to rebrand this wonderful company in towns we have serviced for 20+ years was worth the money. 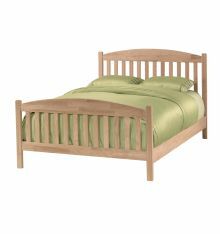 We look forward to doing our small part in keeping the "Real Wood Furniture Finished Your Way" motto alive and healthy. Expansion in the Southeast is a desire of mine but ultimately God and our loyal customers will determine that. However we will always focus locally first and then develop our business model beyond that as opportunities arise! Every step is with you, our consumer in mind . . . thank you to those that developed this business concept and all our 35+ years of loyal customers who are the real reason for our success! There is no secret to building a successful brand. Offer a great value, outstanding service and a willingness to work hard to earn your trust and business. 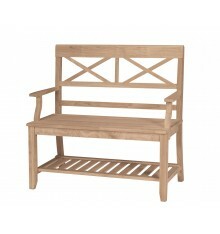 The real wood furniture industry offers the highest quality with today's style that people long for. The willingness to earn your business . . . well that's just what we do. We are your neighbors and have built a strong brand that started in Jacksonville in 1977 and grew throughout the Southeast. There are certainly other options in furniture at every corner but stop by our store and you will experience a knowledgeable staff that loves to assist in meeting your needs. Whole rooms or just the right piece to finish off your room . . . regardless of your need you will find us eager to dive in to assist - that's earning business! We have found over the years that the best way to grow a business is one customer at a time and at Wood You Furniture we pride ourselves in building those relationships that lasts as long as our furniture. We take our consumers choice of both product and company it chooses to do business with very seriously. The ability to personalize a look on a quality all wood product is still our focus and our customer's passion. With the availability to customize a look without sacrificing quality or pay the price of the national chains, it's no wonder we continue to attract new enthusiasts every day. Seen a style or color you would love to have but do not want to sacrifice all wood, personalized color or over pay for it? At Wood You Furniture you are only limited by your imagination. Want to test our reputation? Ask your friends and family about Wood You Furniture and chances are many of them will have our furniture in their home - best form of advertisement is your positive word of mouth and we know just how to earn that - see you soon!